Roland Emmerich’s The Day After Tomorrow is one of those textbook disaster flicks where every recognizable element is in full swing: determined scientist, sure of his curveball theories that no one else buys, saddled with a dysfunctional family and a clock that’s quickly ticking down towards some looming cataclysm, in this case severely bat tempered weather. It’s cliche after cliche, but this is one of the ones that works, and I have a theory why. These days it seems like the formula for the disaster film is pretty dead, or at least doesn’t carry the same magic it did throughout the 90’s and early 00’s. Stuff like San Andreas, 2012, Geostorm (shudder) just feel dead on arrival, and instead we go back and revisit things like Armageddon, Independence Day, and for me, ones like this. There’s a quality, a feel for time and place that got lost somewhere along the way as time passed in Hollywood, and this is one of the last few that serve as a milestone as to where that happened. The first half or so is cracking stuff, followed by a slightly underwhelming final act. Dennis Quaid is the scientist who gets all in a huff about an extreme weather front that’s apparently barrelling towards the east coast, threatening to give the whole region one wet day in the park. There’s an exaggerated halfwit Vice President (Kenneth Welsh) who scoffs at him, an excitable veteran professor (Bilbo Baggins) who eagerly supports him, and an estranged family right in the storm’s crosshairs who he must rescue. The special effects are neat when the maelstrom slams into New York like a battering ram, pushing over buildings with walls of water and chucking hurricanes all about the place. Quaid’s wife (Sela Ward) and wayward son (Jake Gyllenhaal) are of course stuck in this mess, as he races to find out what’s causing it, and how to escape. The initial scenes where it arrives are big screen magic, especially when Gyllenhaal’s girlfriend (Emmy Rossum) is chased down main street by a raging typhoon and barely scapes into a building, a breathless showcase moment for the film. The second half where the storm levels off isn’t as engaging, despite attempts to throw in extra excitement, such as wolves, which I still can’t quite figure out the origin of, despite watching the film a few times now. Holed up inside a library, it’s a long waiting game in the cold dark where the writing and character development is spread a bit thin for the time they have to kill, but what can you expect here. Should have thrown in a T Tex or some ice dragons to distract us from sparse scripting. 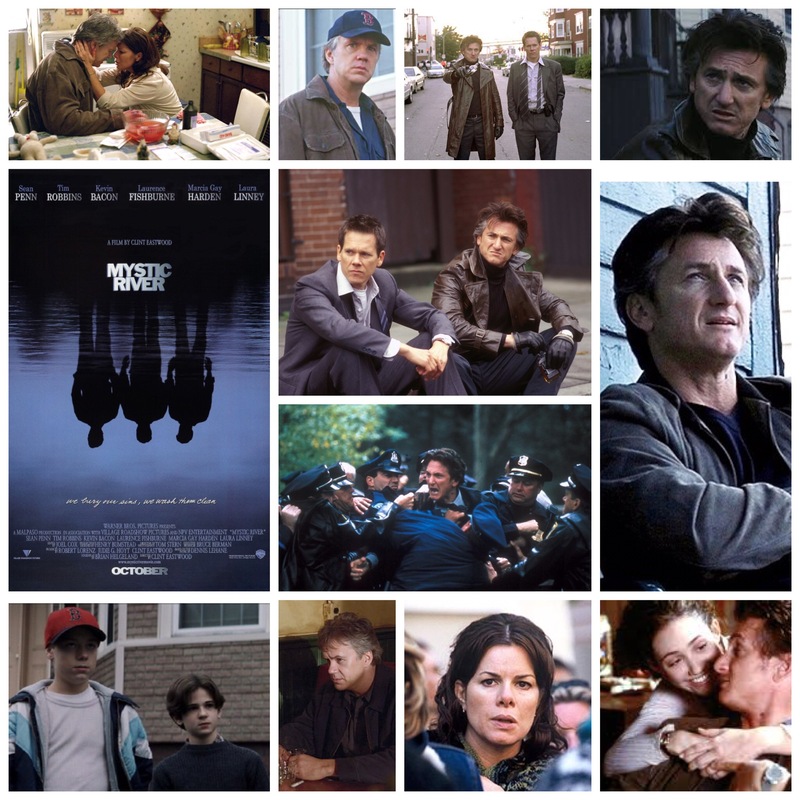 Still, the film gets that initial buildup deliciously right, the nervous windup to all out chaos, the editing between different characters and where they are when the monsoon shows up, and enough panicky surviving to make us thankful for that cozy couch and home theatre system all the more. One of the last of the finest, in terms the genre. I’ve never seen The Phantom Of The Opera on stage, so so I have nothing to really compare Joel Shumacher’s 2004 cinematic vision to, but I know that it was one of the most glorious and formative theatre going experiences for me, so much so that I think I probably went and saw the thing like eight times when it came out. I had never heard a single of Andrew Lloyd Webber’s music before then and had not a clue as to what the story was. My extant of Phantom knowledge at that point was only of a chalky faced, emaciated Lon Chaney Jr. skulking around a silent black and white frame. I was cosmically blown away by the magic of it, the story, the songs, the rich production design and especially the two elemental lead performances from Gerard Butler and Emmy Rossum. Again, no idea how the stage actors compare to these two, but Gerard and Emmy’s take on the Phantom and Christine are now scorched into my psyche as the definitive versions. Butler nails the formula perfectly: scary when he needs to be, tender when he wants to be and always a formidable force of dark romanticism and tragic damnation. Rossum is like an angelic comet as Christine Daae, with the best singing voice of the cast and a presence that will bring the viewer to tears and make you instantly fall in love with her. Christine works in the prestigious Opera Populaire as a chorus girl, until she is shunted into the limelight when their prima donna of a star singer (a flat out brilliant Minnie Driver) walks off in a huff. Rossum then proceeds to move heaven and earth with her rendition of ‘Think Of Me’, accompanied by some of the most incredible camera work I’ve seen, sweeping through the elegant halls along with her crystal clear voice. The mysterious Phantom watches her from dark alcoves and hidden buttresses, entranced by her talent and brimming with love sickness. He has love in him no doubt, but we all know there is hate there too, catalyzed by an unfortunate deformation and a cruel past that has left him in exile. He basically runs the show from the shadows though, with utmost class and heaps of theatrical menace. Christine also has eyes for her childhood friend Raoul (Patrick Wilson). Wilson is the only player who seems a bit out of his depth, perhaps because he hadn’t yet found the assurance in stride and charisma he has in his roles these days. Miranda Richardson is excellent as ever in an understated turn as Christine’s aunt and teacher. Jennifer Ellison is her friend and fellow singer Meg. Ciaran Hinds and Simon Callow are inspired as the comic relief duo who purchases the opera house, and watch for Kevin R. McNally as well. 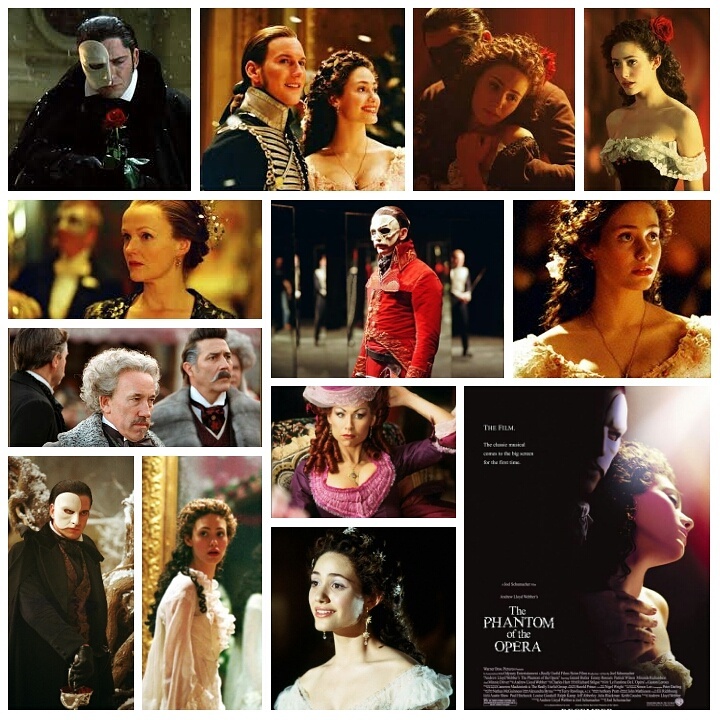 Every song is a winner, every frame composed of grandiose ambition and every ounce of vocal strength thrown forth by the cast, particularly Rossum and Butler who go a mile and then some, holding their own individual presence as well as pulling off the sorrowful chemistry between the Phantom and Christine. There’s a few key sequences that should go down in the history books on how to stage a scene, including a dazzling masquerade ball, a wintry swordfight in a cemetery, the aforementioned Think Of Me, and my personal favourite: a mournful black and white prologue set decades after the story, kicking the film off with a rousing flourish of motion and music. I’m sure there are scores of people who swear by the stage production and want nothing to do with this, or simply weren’t wowed to the levels I was. That’s fine. For me though, I don’t see any version ever topping this jewel of a film, and the classic two disc dvd sits proudly on my shelf, daring any other rendition, cinematic or otherwise to give it a run for it’s money.